High net worth investors from the Gulf are most likely to invest their money in Dubai next year, as opposed to London or other international markets, according to Cluttons. Speaking at the launch of the third part of its Middle East Private Capital survey, the firm’s head of research, Faisal Durrani, said that when it asked such investors where they were most likely to invest sums of US$1 million-plus in property in 2017, “in the minds of Gulf-based investors Dubai has moved ahead of London”. London is the top destination outside the Middle East for Gulf investors, cited as a top three market by 17 per cent of the 127 people surveyed by Cluttons. This placed it slightly ahead of New York (16 per cent) and Singapore (13 per cent). Murray Strang, the head of Cluttons’ office in Dubai, said after about two years of price softening, “people now see really good value for money in Dubai”. He said the market now offered decent yields and the potential for greater capital growth in the run-up to Expo 2020. 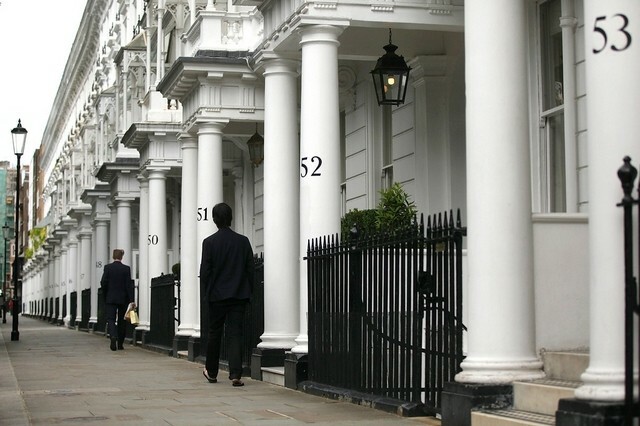 In contrast, although London’s property market had enjoyed capital growth of 70 per cent over the past seven years, it has recently been experiencing a slowdown that was exacerbated by the introduction of an additional 3 per cent tax on second homes in April. The immediate effect of Brexit in property terms is that the devaluation of the UK pound has wiped off significant amounts in value for those who hold their wealth either in dollars or pegged currencies such as the dirham. For instance, a London home that cost £2.5m (Dh12m) is worth about $382,000 – or Dh1.4m – less. Mr Durrani said that in dollar terms, London property was 34 per cent less expensive than it was nine years ago. “For buyers from the Gulf whose currencies maintain a fixed peg to the dollar, that is a significant saving, which is why we as a business have seen interest in markets like Belgravia and Chelsea following Brexit from Kuwaiti and Emirati investors, who are interested in taking full advantage of the currency situation,” Mr Durrani said. He added that other buyers from the region expect further price declines, especially if the pound continues to weaken. Cluttons’ forecast for UK GDP is a “technical recession” in the third and fourth quarters, with growth forecast for the whole of this year at 0.1 per cent, down from 2.1 per cent last year. This week, propertyfinder.ae said Brexit already seemed to be affecting Dubai property: first, UK-based owners selling Dubai property have been prepared to drop prices to take advantage of the weak pound; however, those who expressed an interest in buying here are holding back.